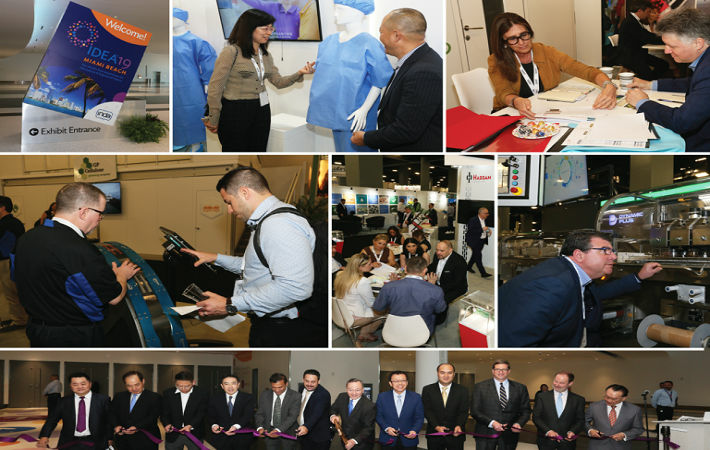 IDEA 2019 broke a display record for the event filling 168,600 square feet of exhibit space (15,663 square meters) within the newly renovated Miami Beach Convention Center. The new record represents a nine per cent increase in display space over IDEA 2016 as industry participants expressed their business confidence through larger exhibition booths, according to a press release by INDA. “IDEA provided exceptionally strong metrics in leadership presence this year. The event attracted a high level of key decision makers, a testimonial to the show’s importance within the international nonwovens and engineered fabrics industry,” said Dave Rousse, INDA President. “The quality of attendees and visitors was exceptional,” said Mark Steinbrecher, sales manager, Optima Nonwovens. The presentation of the IDEA Achievement Awards – sponsored by INDA and Nonwovens Industry Magazine – recognised companies in five categories for the best new products introduced since IDEA 2016. Competing among over 50 nominees, the winners of the IDEA 2019 Achievement Awards were: A.Celli Nonwovens SPA, Lenzing AG, Fitesa, Callaly and Soteria Battery Innovation Group. The IDEA Lifetime Achievement Award was presented to Robert Julius, president of Nice-Pak Products, Inc. Julius was recognised for his lifetime commitment to research, quality, innovation, and service. Nice-Pak and PDI have pioneered the development of wet wipe products and markets globally, that serve the consumer, commercial, healthcare, and contract markets.